I just created an account and this is the first time I am posting into this group. I have been a silent reader of all the posts and inspiring lessons learned. It has been a wealth of information to me as I have cleared my PMP with all your help. I feel I should share my experience with PMP exam and the whole process. I started this initiative in 2008 hearing about PMP certification from my PMO. To get 35 contact hrs I joined a training facility in New york spent $ 2400 - ridiclous and pathetic training. Never spoke about pratice exams. Conseqence I failed. Haa PMP is not an easy exam. Success is counted sweetest to me. Blindly following just the training never paid to the attention of 3 attempts in one year. When I planned to retake the exam in 2009, PMP board did not allow me as per to their guide lines of wait time for 1 year. My unfinished initative kept on bothering me, I once again applied in 2010 and need to follow the whole application process once again. I was looking for material from PMP 4 edition, I came across PM Prepcast by Cornelius Fichtner for $99. Amazing Product, the way he simplified ITTO with reasoning was too good, One such example is Develop schedule ITTO I can never forget. I purchased his PM Study Coach but I never followed - thrown away my money there. PMBOK the bible. PMBOK made sense to me after watching Cornelius videos. Rita Mulcahy I read the whole book twice and also bought Fastrack. I also read Andy Crowe. After reading Andy Crowe's book I liked his style more than Rita's. I memorized most of the ITTO and also I suggest to. Forums- How they supported me. PMZilla too good. DeepFriedBrainPMP - The best. For example his explanation on TCPI. Awesome Harwinder, Keep up the good stuff. project-management-prepcast by Cornelius Fitchner. Monitor and controlling – Below proficient. Professional and social responsibility – Below proficient. And I Passed. I have no complains. I did it and I am happy for my efforts. I dedicate my success to my 19 month old daughter and to my wife who supported me. Sekhar - Thank you for sharing your lessons learned and your appreciation. I really admire your perseverance. I'm glad to be of help. These lesson learned were originally posted by Sekhar here. Is that really an amazing roller coaster ride? Yes, it is an amazing thing in my opinion. How many people have the motivation, strength and perseverance to stand up and go for their goal, despite 3 successive failures? Add a 1-year mandatory waiting period and most people would give up. Moreover, the person has the courage to come to a public forum and admit his previous failures. This is a great success story in my view. Congrats Man. You achieved it. 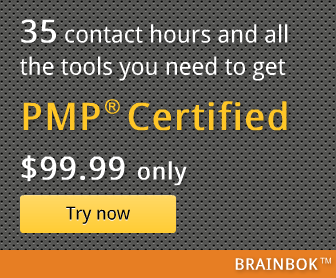 I responded to your questions on PMP FAQ page. Congratulations for passing the exam and admiration for the perseverence and courage to share lessons learnt in a public forum. Can be tough juggling family, work and exams, particularly if one has left academics for a while!